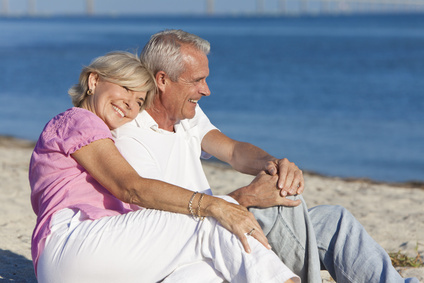 Looking for the perfect Florida Retirement Communities for 55 plus? The Tampa Bay 55+ active adult communities are among the best retirement communities in Florida. Tampa retirement communities include golf and country clubs, and new home communities developed for retirement living featuring single-family homes, condos, townhouses, villas, and more. Many of Tampa active adult communities are master planned neighborhoods with community centers, gated entrances, lush landscaping, pools, activities, and more. Whether you chose the Tampa area, St. Petersburg, or Clearwater you will enjoy the year round warm weather, and are close to the beaches and a plethora of fun, enjoyable things to do. From cultural events to outdoor activities, Tampa Bay is an ideal area, attractive to all ages because of the areas warm weather and abundance of activities. Year round you can enjoy tennis, golf, fishing, hiking, bird watching, sporting events and more. We specialize in Florida 55+ active adult communities in Hillsborough and Pinellas counties. Tampa, St. Petersburg, and Clearwater are the 3 major cities that make up a 4 county area (Hillsborough, Pinellas, Pasco, and Hernando Counties) known as Tampa Bay. Tampa Bay real estate is the perfect location for a second home or full-time residence for those seeking a Tampa Retirement Community. 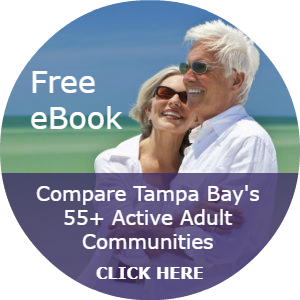 Get info on Tampa Bay 55 plus active adult communities. 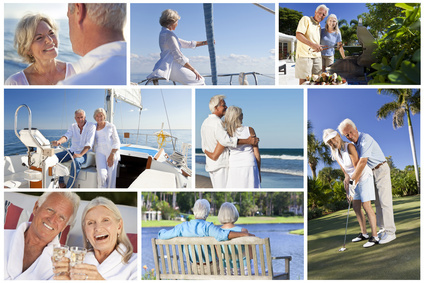 As Tampa 55+Active Adult specialists we will show you Tampa Bay’s most popular active adult retirement communities. We are your Tampa Bay Florida 55+ real estate resource. We are SRES (Seniors Real Estate Expert) designated Realtors. We know the seniors market! Come and spend a day with us and we will show you the best retirement homes in Tampa Bay. You can search Tampa Subdivisions. You can search retirement communities, 55 Plus Communities or Active Adult Communities. When doing an MLS search Pinellas County condos, townhomes, villas, and luxury homes. You can also do a Tampa new home search for the hottest new homes in Tampa Bay. You will find all the Hillsborough, Pinellas, Manatee and Pasco County listings by a Tampa Realtor, as well as Clearwater homes for sale and all of the St. Petersburg real estate listings. You can even do a beach homes search. When you are ready to learn more about homes for sale in Tampa Bay, click the contact button above for Jim and Linda at Home Sales Tampa Bay. Call us, because time and money matter when you buy or sell your home. Southshore Falls Ph 02 SubDv. Southshore Falls Ph 01 SubDv. Southshore Falls Ph 03 SubDv. "We believe every family should feel confident when buying and selling a home." Valencia Lakes is an active adult community with state of the art amenities and luxurious new homes at reasonable prices. This master planned community with a small town feel is located in South Hillsborough County... READ MORE. Valencia Del Sol by GL Homes is next door to its sister community Valencia Lakes, and is located in Southeast Hillsborough County (Tampa Bay) offering an active, healthy and luxurious lifestyle for the 55+ ... READ MORE. Southshore Falls a 55+ community in Apollo Beach offers re-sales of both Villas & Single Family Homes at affordable prices. You'll love the community clubhouse, two lagoon-style pools... READ MORE. Fun and Sun in Florida for the 55 plus community with everything you could want or need. All the activities, facilities, and support services you would expect in an active retirement community . . . READ MORE. Medley at Southshore Bay is a new active adult, gated community in Southeast Hillsborough County, Tampa Bay. Medley is being built by the respected national builder Lennar Homes. The Metro Places community will feature the unique Crystal Lagoon, 6 acres of clear blue water to swim, snorkel, or paddle board... READ MORE.